Was your business affected by the Cache Creek fire in Colorado? The fire has destroyed thousands of acres throughout the western slope. It continues to burn and affect buildings, homes, and communities in surrounding areas. The aftermath of a fire can be devastating, especially when it happens to your business. People have already had to evacuate due to the Cache Creek Fire and fear for their buildings, homes, and businesses. That’s why it’s so important to know how to prepare for fire hazards before they happen. The Cache Creek Fire, which is burning east of Battlement Mesa has taken over almost 3,000 acres. 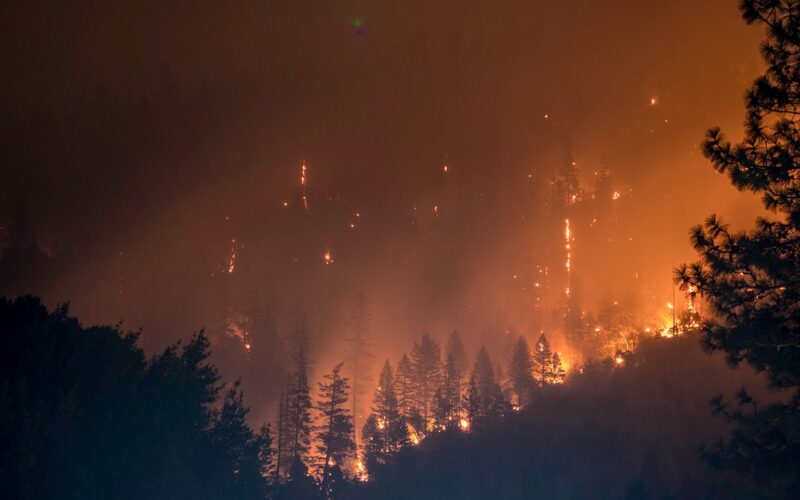 The amount of money that’s already went into fighting the fire is a little over $6 million, according to a local news source. The fire started on July 28 when lightning struck the area and it’s not expected to be fully put out until October. It’s so important to prepare for a fire whether you live in a high risk area or not. Fires can happen anywhere, at anytime. You should have the proper fire protection equipment put in place and regularly maintained to ensure it’s up to par. It’s also smart to have a fire plan in place. This includes everything from an evacuation plan for your building to educating staff on how to react to a fire. If you smell smoke or see flames, you should call for help immediately. The best thing to do when there’s a fire is leave it to the fire fighting experts to put it out. It’s not your job to try to take care of the situation or put out the fire yourself. Once you alert local authorities, then you’ve done everything you need to do at this time. In communities where wildfires occur often, it’s important to alert your community that there’s a fire. If you’re the first one to spot danger, make sure to let other people know around you that it’s time to evacuate. This goes for building owners, employees, etc. By spreading the news about the fire, you can help save lives and give people more time to react. A fire is a very stressful situation, however it’s best to try to remain calm. Fire damage can be extremely costly, which is why it’s smart to invest in fire insurance so that your building is covered. This will also put you at ease if a fire does occur. The last thing you should have to worry about during a fire is the cost of damages and repairs. Frontier Fire provides the best fire protection services in Rifle, Colorado and throughout the state. If you’re in need of fire protection, we’re just a call away. Plus we offer 24/7 emergency services in case you have an immediate fire related need. Don’t wait until it’s too late to protect your building. If you’re in Rifle, Grand Junction, or surrounding areas, give us a call at our local office at 970-945-8735.